helm, next to your GPS. cove every evening before dark. 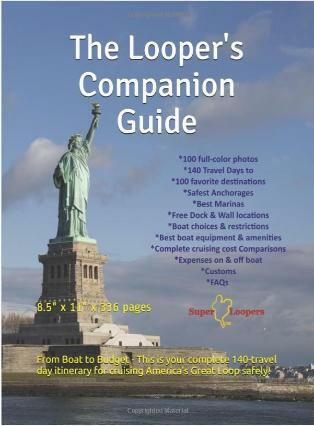 examples of on & off the boat budget expectations. safe anchorage or marina - before dark. this is sure to change her/his mind. 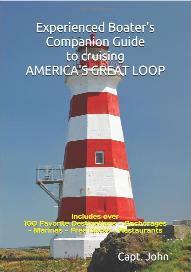 Companion Guide". It is an incredible piece of work and beyond any doubt, Capt. John's very best work to date. 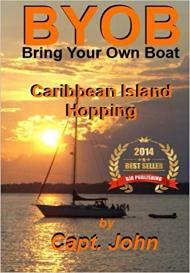 encouraging us all to run out, buy a boat, and experience this great adventure for ourselves. 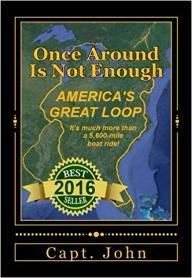 As his publisher, I never heard of America's Great Loop until I met Capt. John. To me, his books were just books. understanding. His first book didn't make any money, but his passion over this voyage was undeniable. 1,000 books sold in this market is rare. 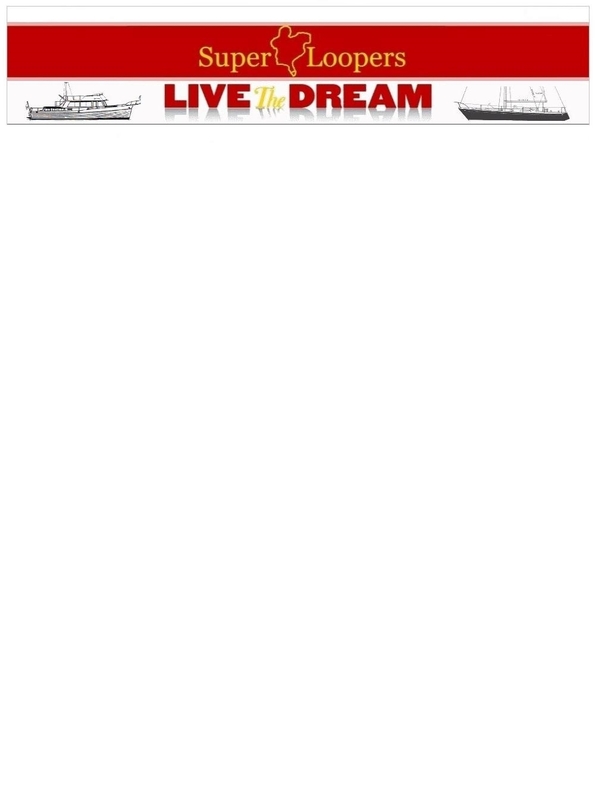 we believe, he wants us all to make this voyage, as much as we would like to.